Have the looming financial costs of buying a home become a roadblock to your homeownership dreams? Do not let that happen – there are some awesome grant programs out there that can make the difference! What is a grant? 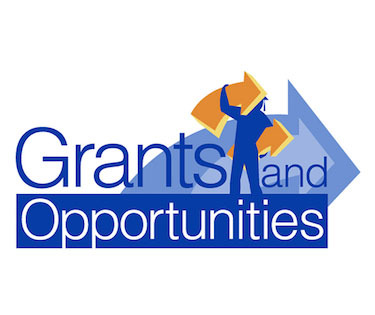 A grant is a loan that does not have to be repaid. That’s right! Free money to help you buy a home that you never have to pay back! If you qualify, you could save thousands of dollars with down payment and closing cost assistance. Your income must be equal or less than 80% of the HUD Median Income for the county in which you’re buying, adjusted for family size. Who’s in? If you meet the income cap, then specific grant programs are available for first-time buyers; community partners (law enforcement officer, educator, firefighter, or health care worker); and former and current members of the military and their surviving spouses. All programs require that this home be your principal place of residence, and you live there for at least 5 years. What’s in? There’s a wide range of eligible homes including: owner-occupied 1-4 family properties; single family houses, townhouses and condos; foreclosures; cooperatives; manufactured housing; mobile housing; new construction (within 30 days of closing); and the purchase of an existing unit. This program is basically a matching subsidy based on a 4:1 ratio. For example, if a buyer contributes $1,000, they’ll receive $4,000 in grant funds, with the maximum subsidy of $5,000. Minimum contribution is $1,000. Buyers must meet the definition of a first-time homebuyer, which other than a few exceptions, generally means you haven’t owned a home in the past 3 years. The home can be located in DC, VA, MD. A brand-new program that gives funding to law enforcement officers, educators, firefighters, or health care workers whether they are first-time buyers or non-first-time buyers. Must contribute $1,000 minimum, with a matching subsidy based on a 4:1 ratio, with a maximum subsidy of $7,500. This program is geared toward homebuyers that are currently serving in any branch of the U.S. military, or their surviving spouses. They can be first-time buyers or non-first-time buyers. There is no minimum contribution and the maximum subsidy is $7,500. Down payment and closing cost assistance for the purchase of an existing unit only. Can purchase a home anywhere within the United States or its territories. This program is geared toward homebuyers that are currently serving or have served in an overseas military intervention for any branch of the U.S. military, or their surviving spouses. They can be first-time buyers or non-first-time buyers. There is no minimum contribution and the maximum subsidy is $10,000. Want more information? Just get in touch and we’ll review your specific situation and figure out everything you qualify for. Any of the grants mentioned above can be combined with all the other great first-time home buyer programs in the District, Maryland or Virginia.